You may have built a solid staff of hardworking, enthusiastic employees, but what makes your company culture important is the diversity of your people. Do you ever wonder why some employees respond better to a certain office layout than others? Are you having trouble getting certain staff members to focus in certain rooms and you’re not sure why? 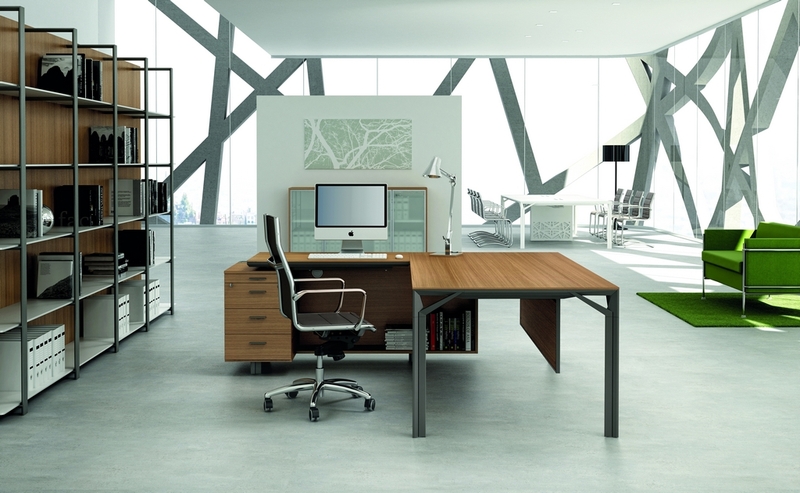 Different personality types respond to office layouts, designs, and furniture in different ways. A common hiring tool is the MBTI, or Myers-Briggs Personality Test, when onboarding a new employee. Typically, this test is used to determine whether the employee is an extrovert or introvert and what their personal strengths will bring to the overall office workflow and relationships with their colleagues. But managers and employers can also use this popular test to optimize a new employee’s personal office setup to help them hit the ground running and feel comfortable from Day One. What are Myers-Briggs personality types? 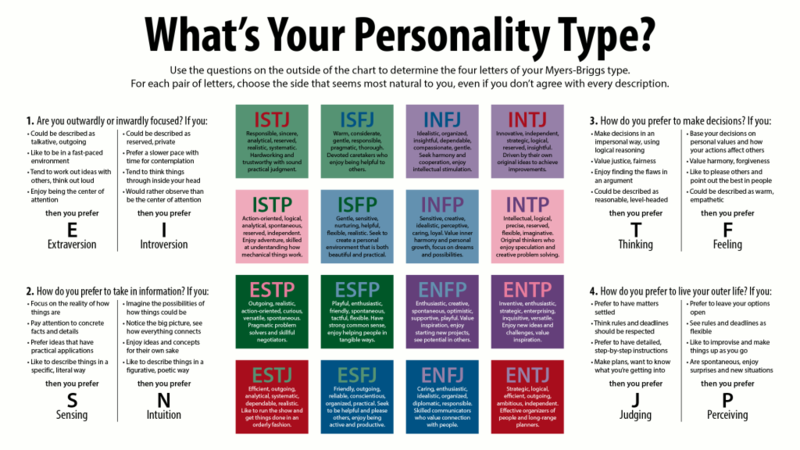 Myers-Briggs is a framework that identifies four basic preferences in how we perceive and interact with the world around us. These preferences are represented by a letter (I, E, S, F, etc.) and each preference is dominated by a trait but combines other traits for a well-rounded personality. Extroverts will have a different set of preferences than Introverts, but they may share a receding trait or two. 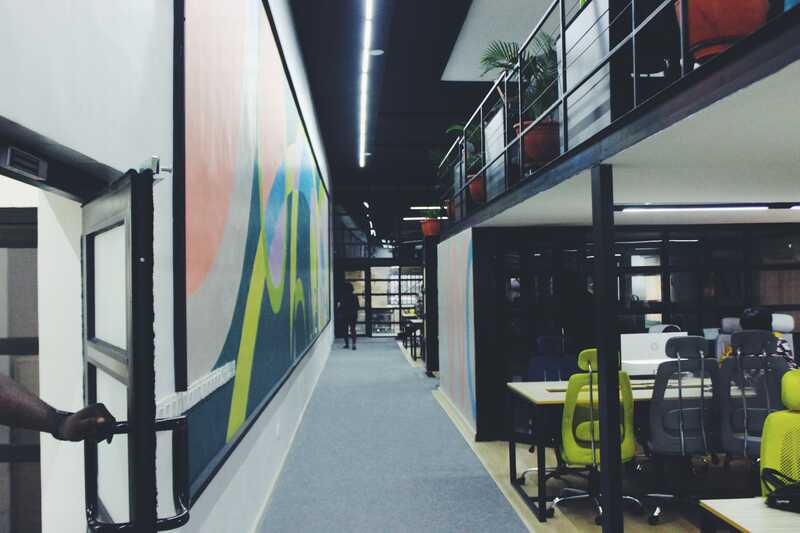 In short, you’ll need to design office layouts to accommodate both introverts and extroverts, as well as those who need more multi-sensory stimulation than others. 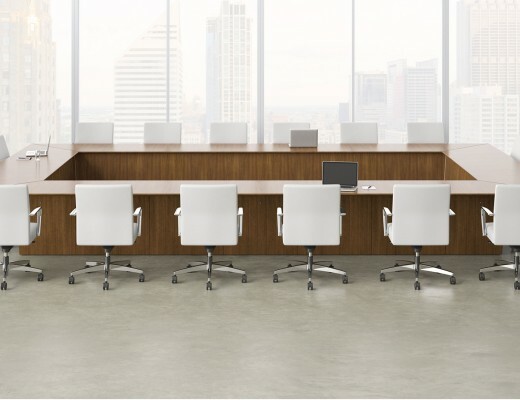 Here are our suggestions to help your employees feel great about their workspace and customize the office where possible to meet their needs for better work days and higher productivity. Creating “neighborhoods” in your open-office plan will put introverts at ease. Use modular desk setups that allow introverts to personalize their desk space. Avoid hot desking with introverts and give them a dedicated area that is out of the way of high traffic flow (right next to a walkway or lounge, for example). This allows them the quiet they need as well as periods of downtime from socializing with co-workers. They can recharge their creative batteries and really shine in meetings! Extroverts love to collaborate and socialize at regular intervals throughout the day. 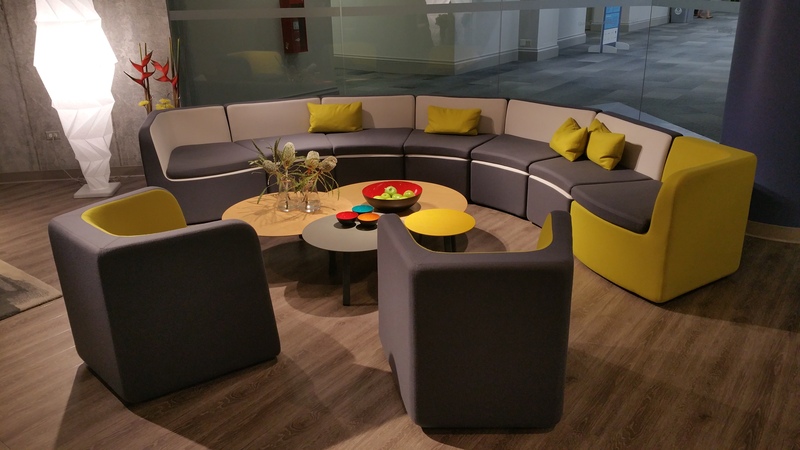 Providing touchdown spaces, brainstorming hubs, and cool lounge areas offer these types the opportunity to come out of their “shell” of a cubicle and do what they do best–inspire, engage and move others to action. Extroverts also love dynamic, cool offices with open plans and confidence-inspiring board rooms where they can impress stakeholders. If you want to try out a new group layout, they’re happy to test and give feedback. Employees who have Sensing (S) as their dominant personality trait are very attuned and therefore sensitive their work area and the health and flow of the office at large. 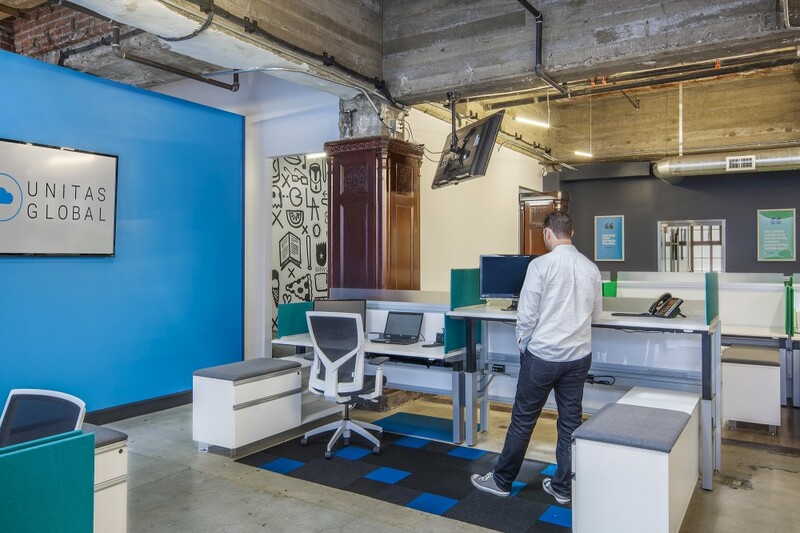 Because they naturally visually create boundaries to help make sense of their environments, Sensing types (Conservers and Activists) like quiet, traditional office layouts and sensible desk setups. Clear ideas of C-suite, management, departments, social areas and reception are appreciated by this group, as well as defined work and play hours. They also appreciate movement and breaks. 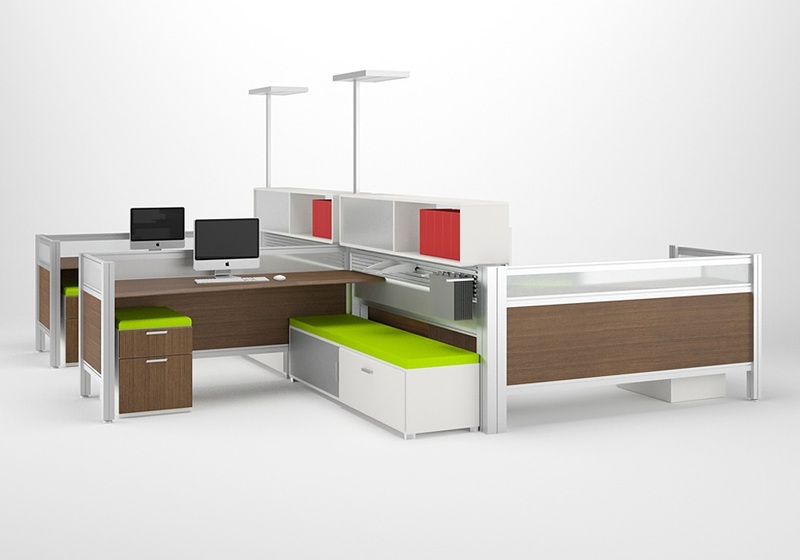 Give Sensing types adjustable height desks so they can crush their daily tasks and happily take a break to socialize and stretch. Employees who prefer Intuition (I) typically fall into Visionaries and Explorers. Visionaries deepen their imaginations inward, while Explorers expand their creativity in brainstorming with others. 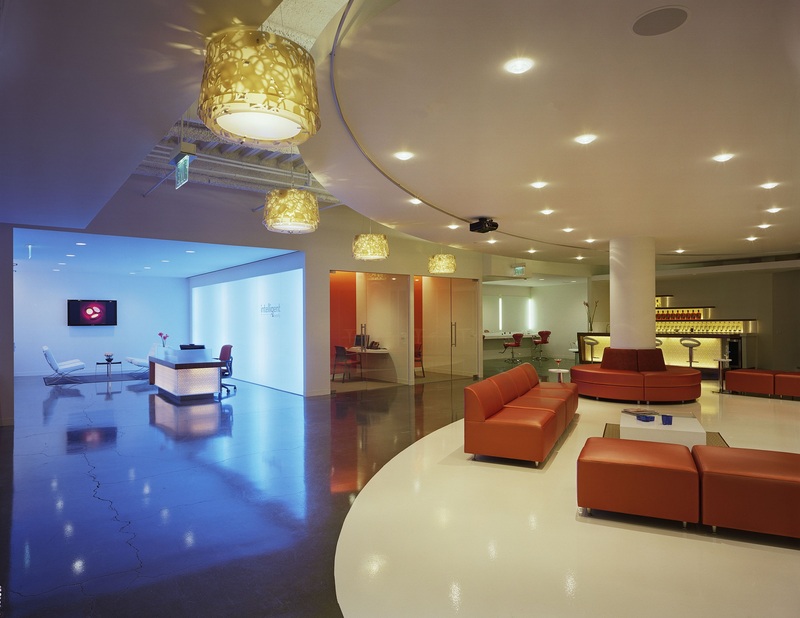 Both need visual workspaces that nurture different ways to use the brain as well as intelligent and beautiful design. Your Intuition employees will be grateful for luxury ergonomic chairs that support them while they dream up the future of your company. They also love deep work cubbies, smaller conference rooms, and audio/visual setups that are free of wires and drab tech. Analysts and Directors fall into the Thinking (T) personality preference. These employees typically become your best managers and executives because of their objectivity, ability to lead, and tendency toward quick yet clear rationale. They will steer the company toward positive revenue. 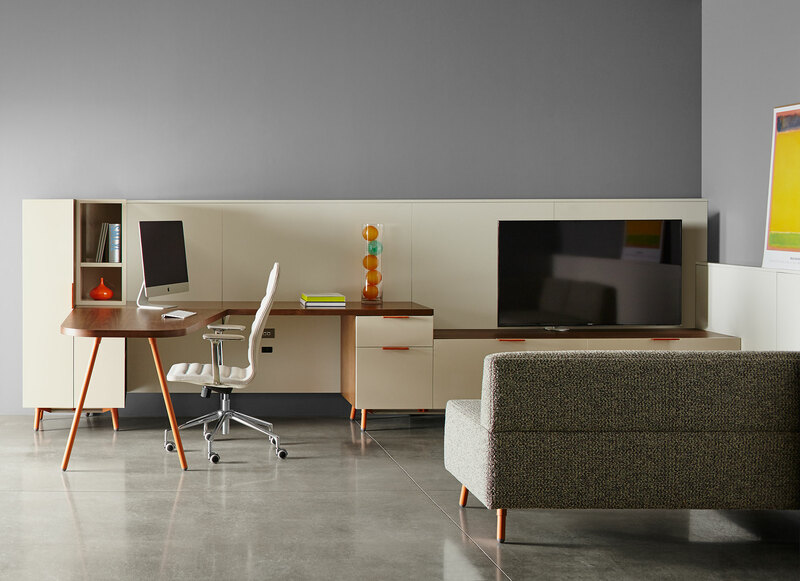 Give Thinking personality types generously-sized modern desks that are positioned at the edge of a high-density office plan, or right in the middle. They need clear pathways to get where they’re going, and clear access for others to reach them. 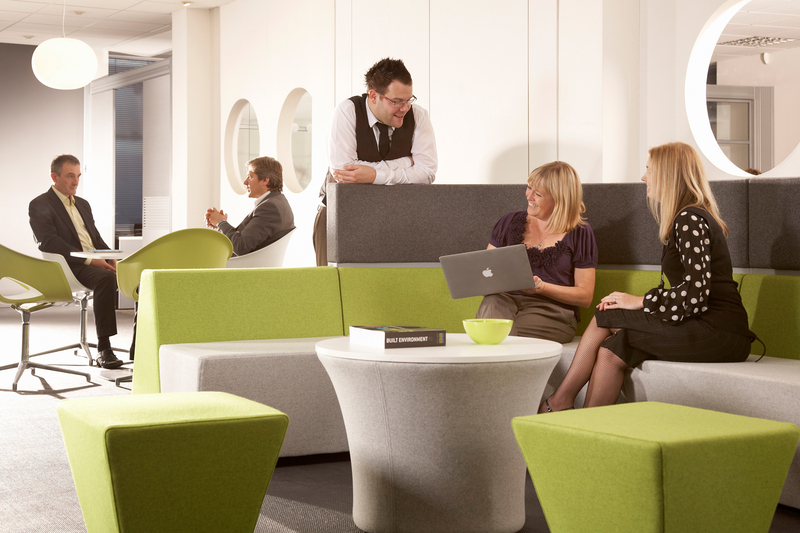 They appreciate minimalist, stylish storage options as well as an extra chair to accommodate visiting colleagues. The fourth dominant trait in the Myers-Briggs personality quadrant is Feeling (F). Feeling types are made up of Nurturers and Consciences who are compassionate and think of the well-being of their coworkers. These are the types of employees who follow the “Leaders eat last” mentality and will make sure the atmosphere in the entire office feels balanced. They support you and give you the words you need to hear to refresh your enthusiasm on a project. This doesn’t necessarily mean they’re outgoing, however. Give them privacy with cubicle walls or access to small project work rooms. Invest in beautiful, gentle lighting (or natural light) for Feeling types, as well as plants and water features in or around their modular workstations. They also appreciate comfortable acoustic chairs or couches to continue projects away from the desk. 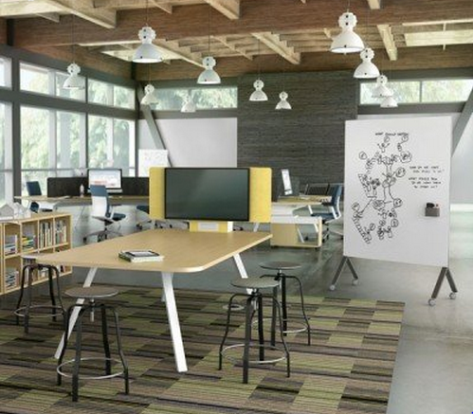 For more office design ideas, explore collections with our Design Your Office tool.